A small but deadly earthquake on the Italian holiday island of Ischia exposed a deep political fault line yesterday (22 August) over the country’s proliferation of unsafe, illegal housing. The tremor, officially recorded in Italy at a modest strength of 4.0, toppled buildings, killed two people and injured dozens in a district where seven years ago residents rioted to prevent bulldozers from razing illegally built homes. A fifth of new Italian houses were built illegally in 2015, according to the statistics bureau ISTAT, up from 9% in 2008. In four southern regions – including Sicily and Campania, where Ischia lies – the proportion stood at well over a third two years ago. The legal status of the buildings that came down on Monday night (21 August) was unclear. But the deaths reopened a debate over the problem of builders sidestepping regulations, including those designed to ensure homes can resist earthquakes. “Ischia has always been a symbol of illegal building, random cementification and impunity,” Italy’s environmentalist lobby Legambiente said in a statement after the earthquake. 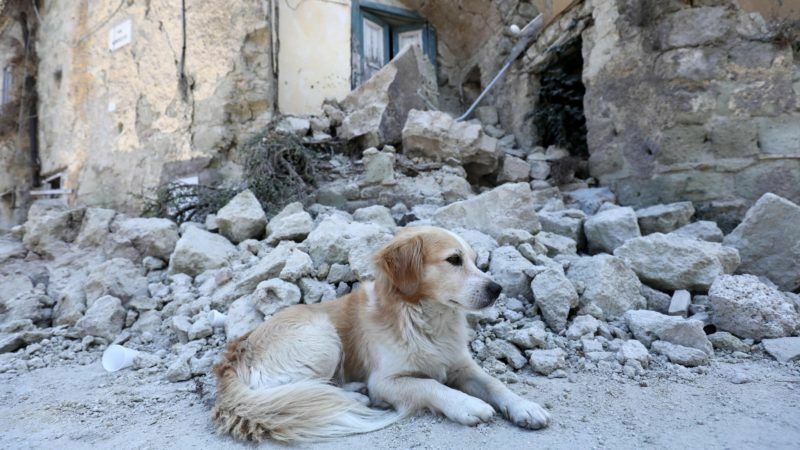 It struck three days before the first anniversary of a much bigger, 6.2 magnitude quake that killed nearly 300 people in central Italy, most of them in the town of Amatrice. The government and political parties say they want to tackle the problem, but they have been reluctant to match words with deeds, especially in the run-up to local elections in Sicily in November and a national vote early next year. Many houses, especially in the poor south, have been built illegally to save money and time by avoiding taxes and red tape, and their owners resist attempts to enforce the law. Angelo Cambiano, former mayor of the small Sicilian town of Licata, paid a high price for tackling the problem. He first received anonymous threats and was finally forced from office by his own councillors this month after demolishing 67 illegal dwellings, mostly holiday homes on the coast, since he took office in 2015. Cambiano’s approach was unusual. Governments of all political stripes have preferred to serve up regular amnesties for illegal construction work, allowing culprits to regularise their position with the payment of a modest fine while allowing the structures to stand. The anti-establishment 5 Star Movement, favourite to win Sicily’s regional election, came under fire this month when its candidate argued that inadequate housing policies had obliged many Sicilians to build illegally. His words were widely seen as justification for illegal and shoddy construction. Five Star, whose battle cries are legality and sustainable development, was attacked for burying its principles in a bid for power. Its most prominent member of parliament, Luigi Di Maio, clarified that “all houses served with a demolition order have to come down”. Ischia, off the southern port city of Naples, is no stranger to earthquakes. A larger tremor in 1883 killed more than 2,000 people on the island. Yet little has been done to make its houses safer now than they were then. Seven years ago hundreds of its residents built barricades and threw bottles to stop bulldozers reaching the first of 600 illegally built houses due to be demolished. Almost all the houses were spared and the clashes took place in the part of the island worst hit by Monday’s quake. The island has just 64,000 inhabitants but they have presented 27,000 requests to take advantage of amnesties for illegal building over the last 30 years. Despite lobbying by environmentalists and lip service from politicians, illegal house building in Italy has continued apace even as the construction industry as a whole has been hard hit by a triple-dip recession since 2008. It can cut the cost of a new house by more than half, according to Legambiente, thanks to savings on materials and manpower as well as on the costs of permits and taxes. But in a country often hit by floods and landslides as well as earthquakes, it can also be shortsighted.